Shadowed, on a bamboo-grass fan, the character "one". 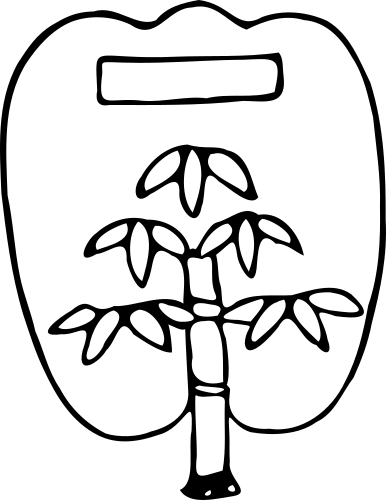 Used by a provincial samurai. See also Mon of the Week: Fan with Bamboo on Fireflies Sing.